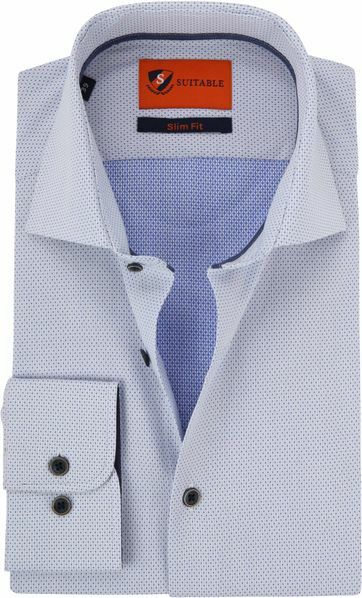 Dressy shirts are perfect for an important day at the office, a dinerparty or basically every other occasion. 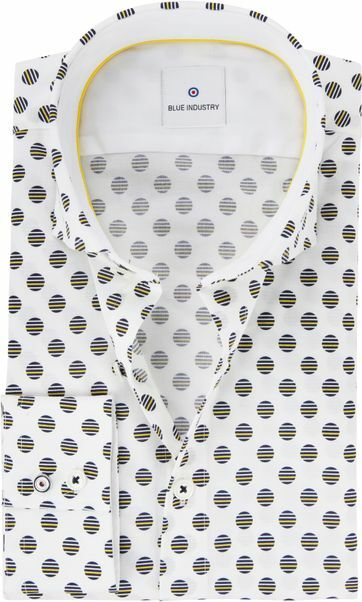 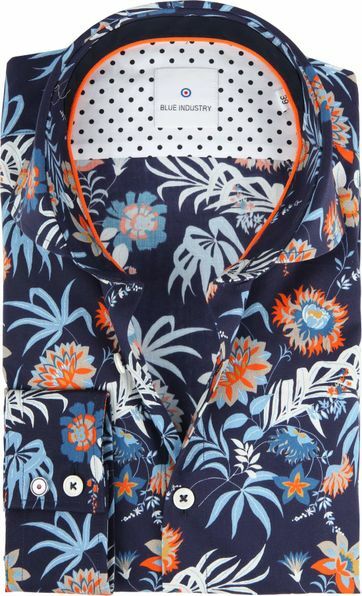 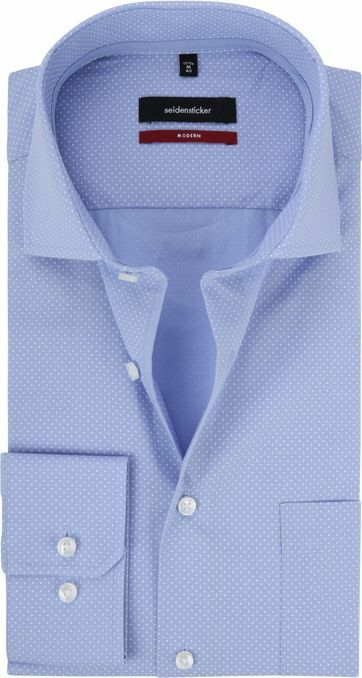 Go for shirts with trendy prints or stay a little more basic with a solid color. 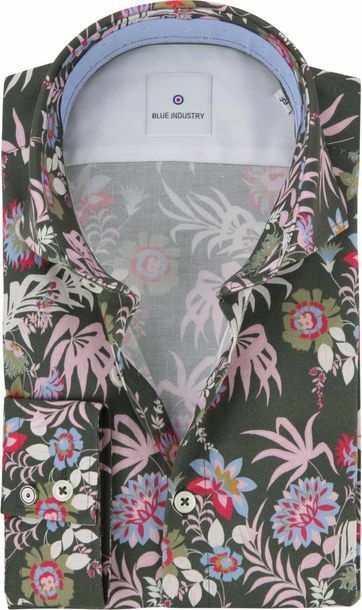 details in a limited quantity. 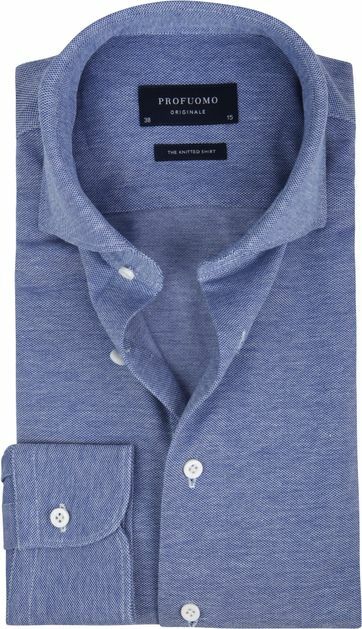 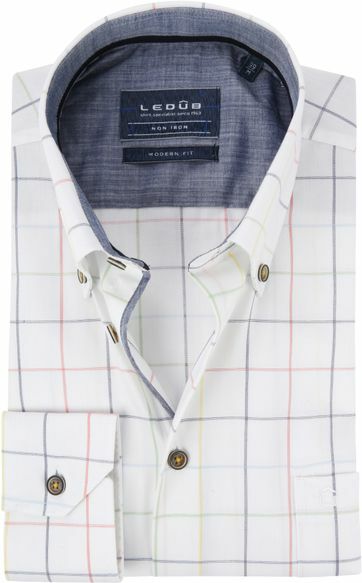 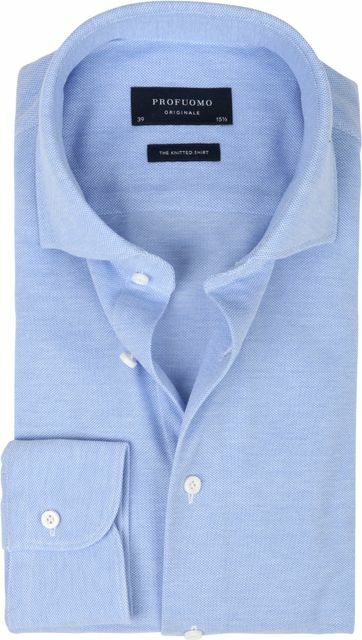 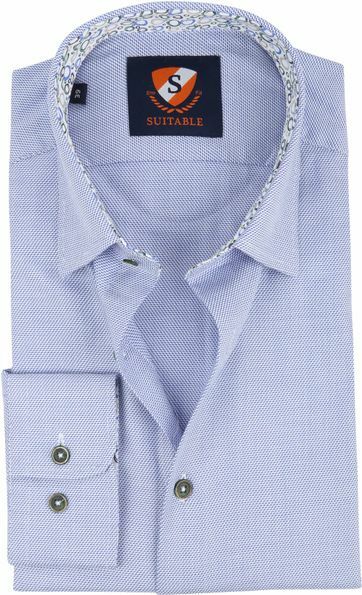 Order men’s shirts easily online at Suitable, at no additional delivery charge. 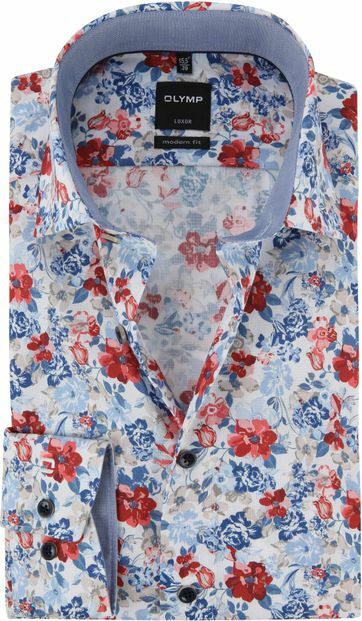 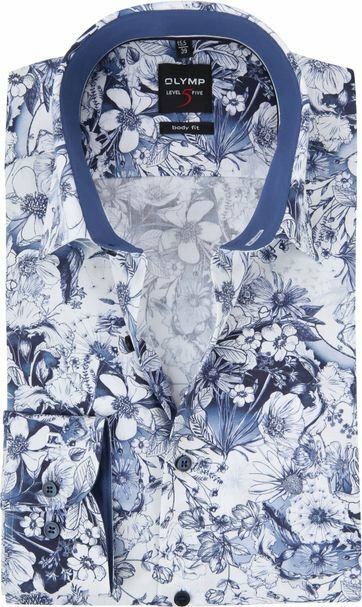 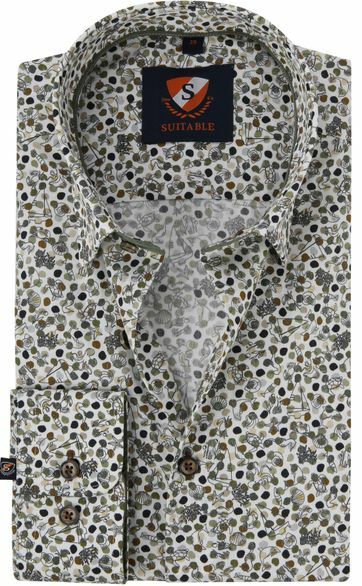 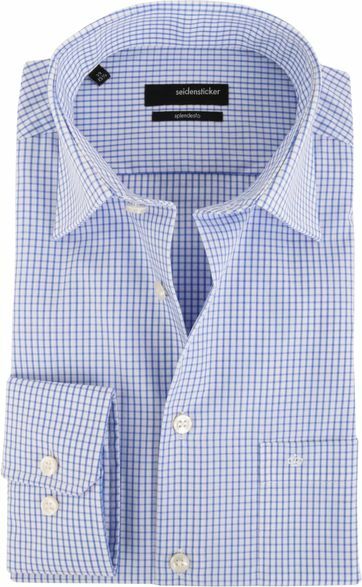 In our Suitable stores and on our website, you can find a wide choice of shirts in all sorts and sizes. 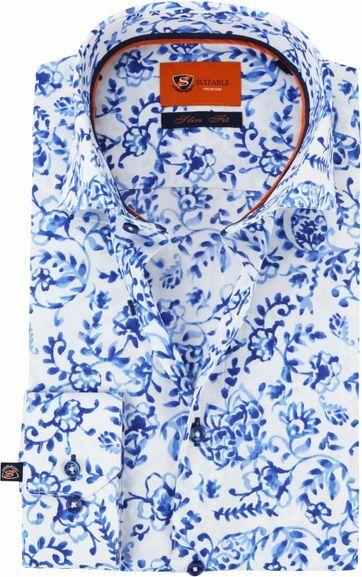 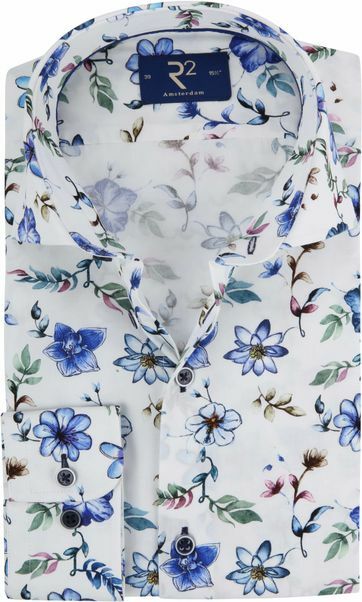 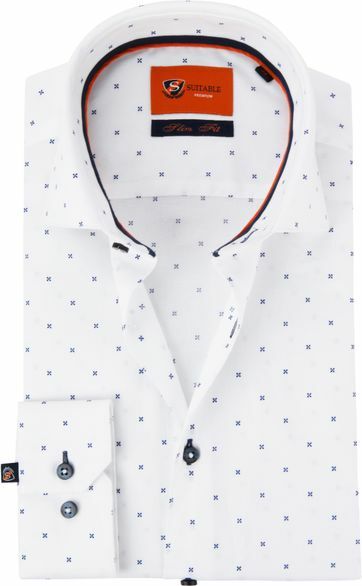 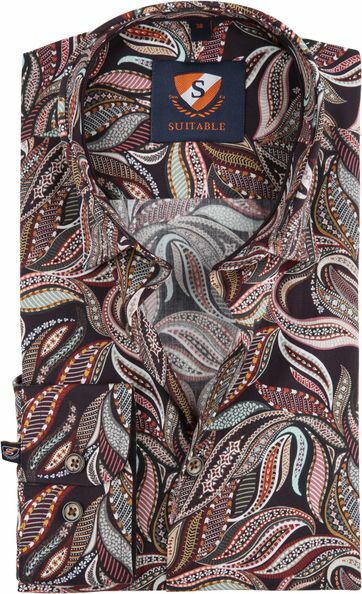 For instance, we have a large range of fashionable shirts with a slim fit, high collar and cuffs with surprising details as contrasting prints, colors and arm patches. 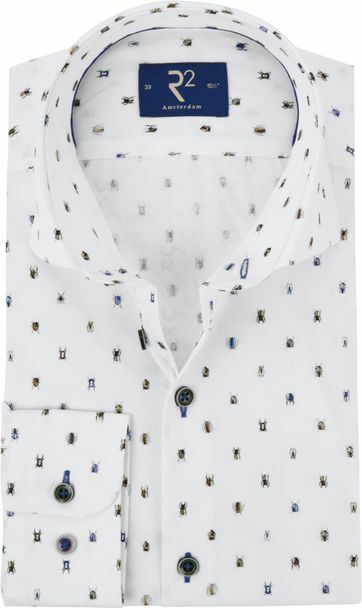 The collection of fashionable men’s shirts is often renewed, so stay up-to-date of our constantly changing collection for men! 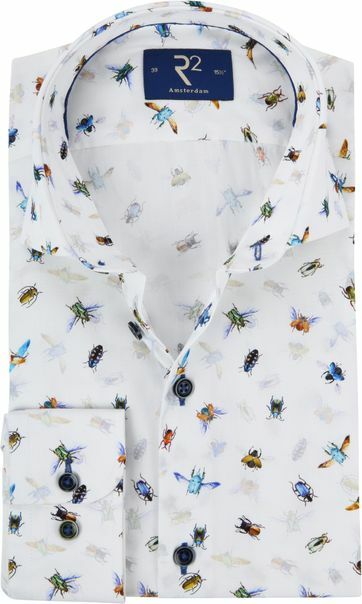 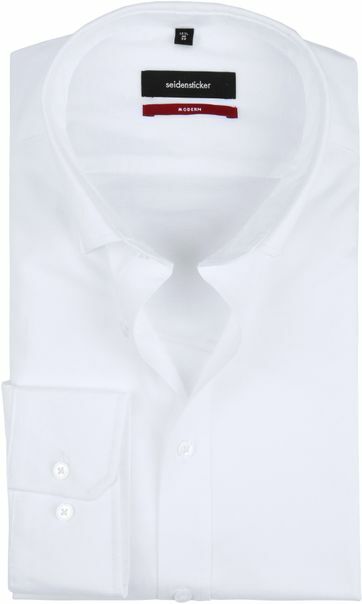 Furthermore, there is a wide selection of business shirts. 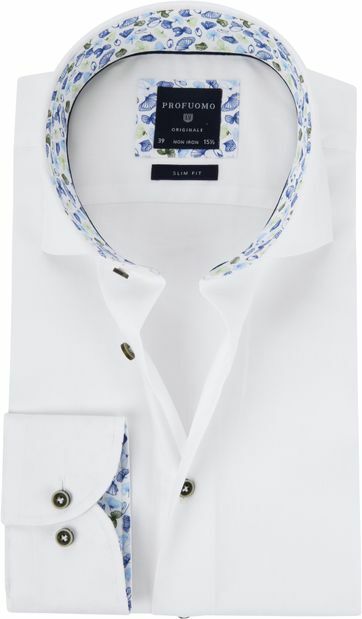 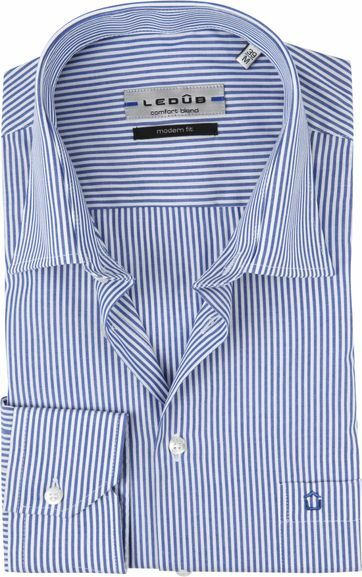 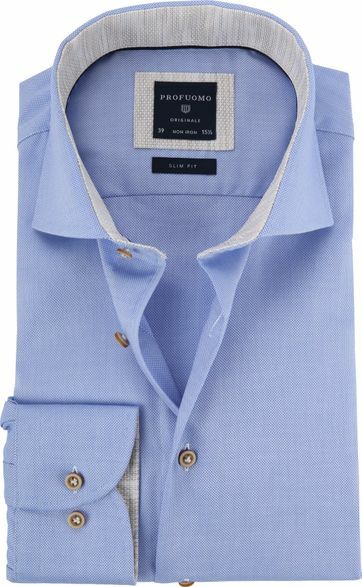 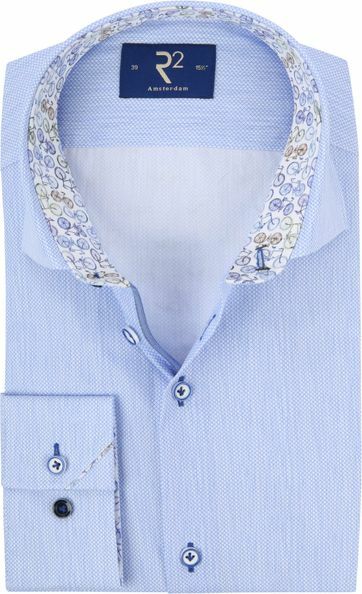 These shirts often have a wide-spread collar, wherefore well combined with a tie. 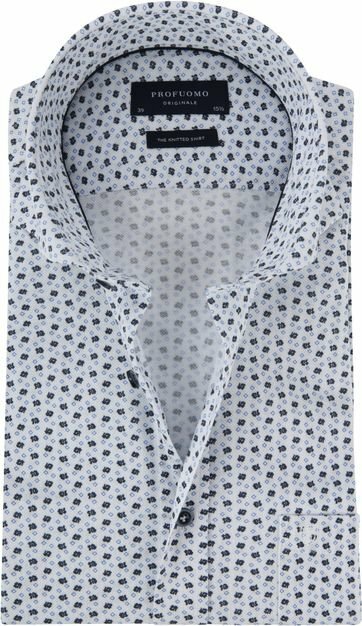 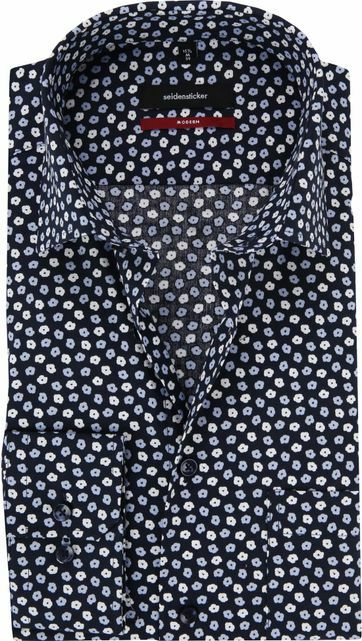 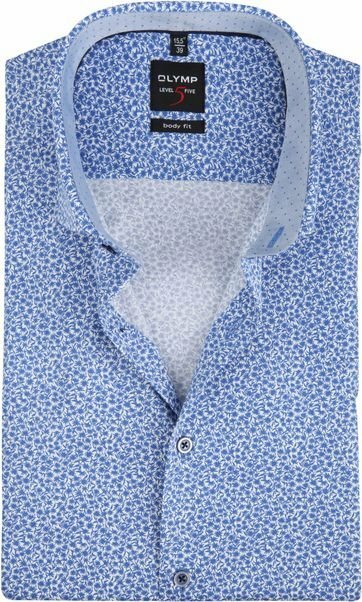 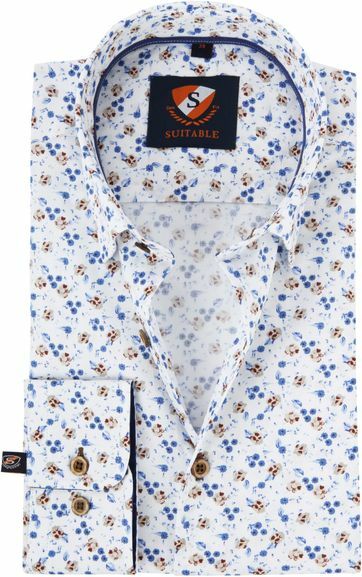 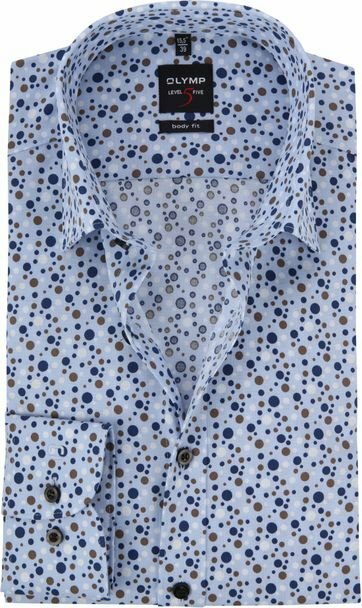 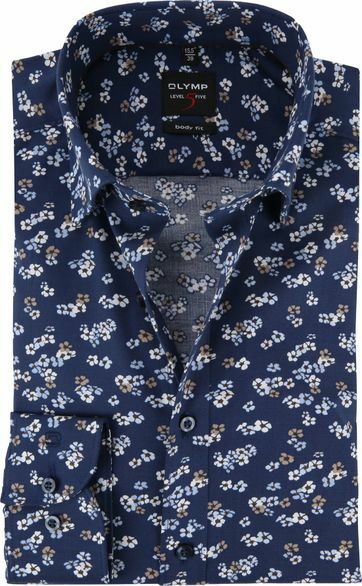 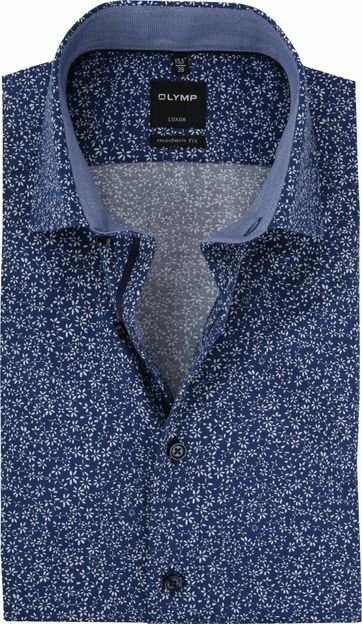 If wearing this men’s shirt casual without a tie, we also offer versions with contrasting details making the shirt more contemporary. 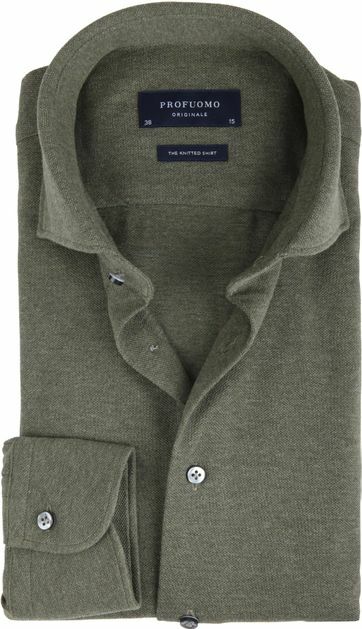 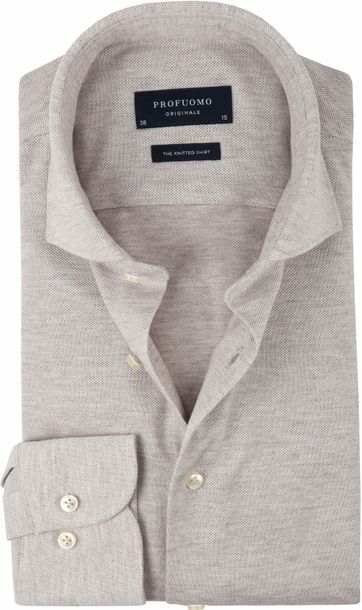 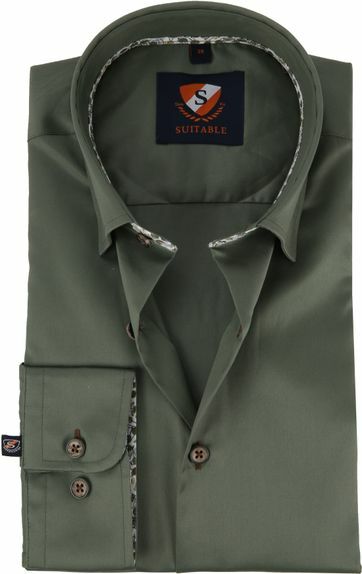 Naturally unicolored men’s shirts are available as well. 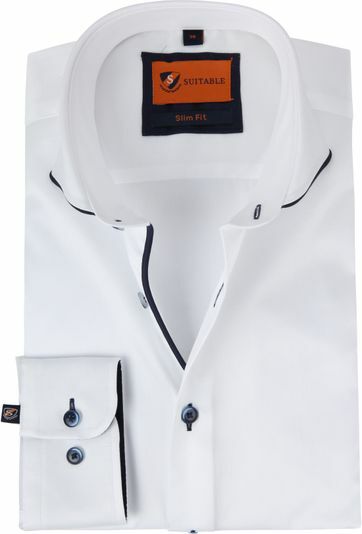 These are tailor fit and made of a strong 2ply cotton and come both with simple or with French cuff. 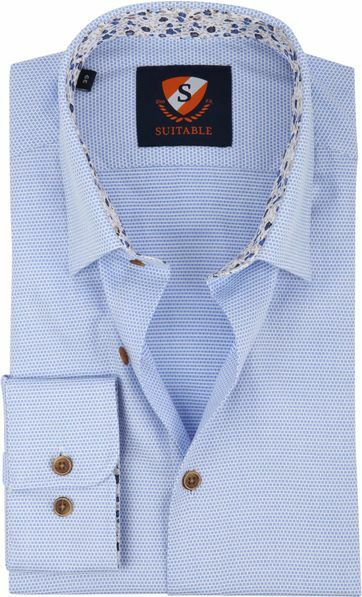 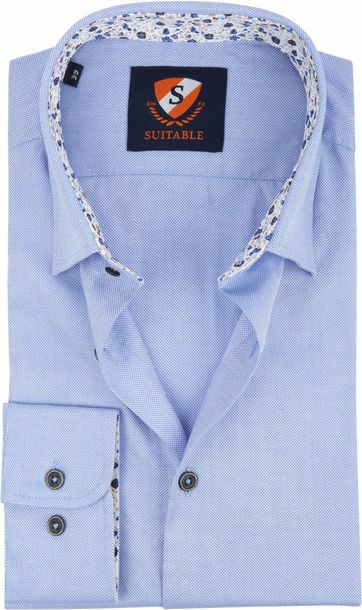 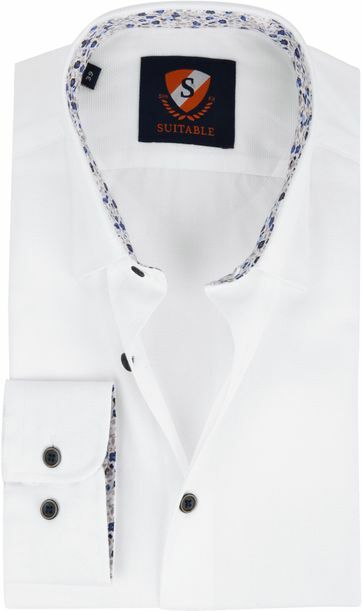 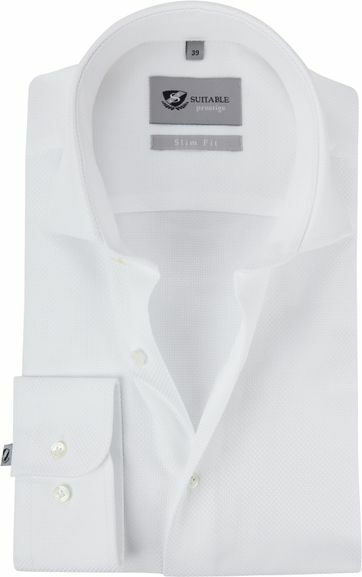 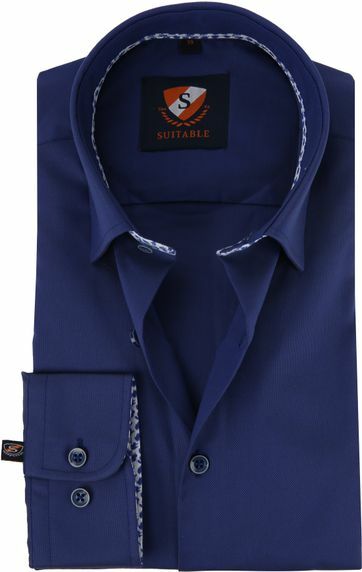 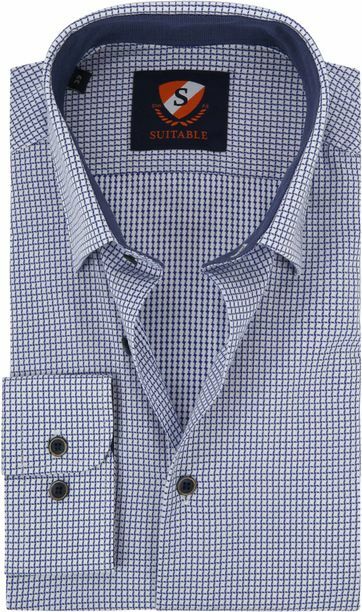 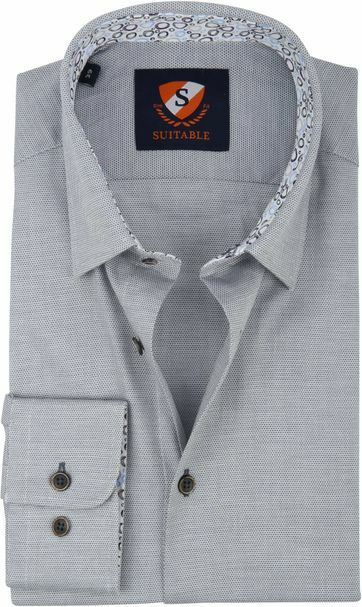 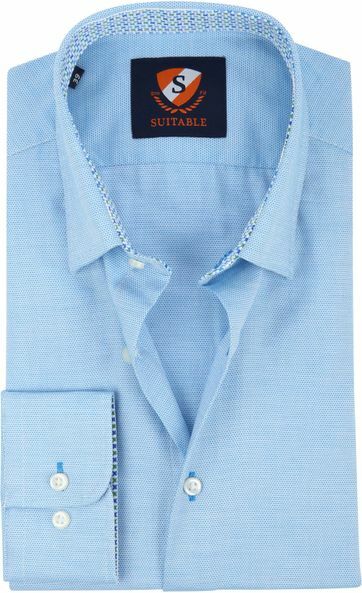 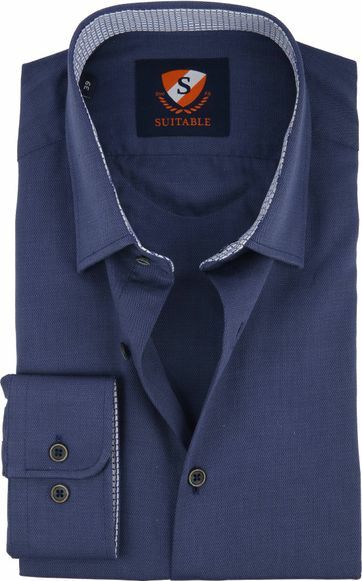 Suitable provides a special assortment for tall men, consisting shirts with extra sleeve length. 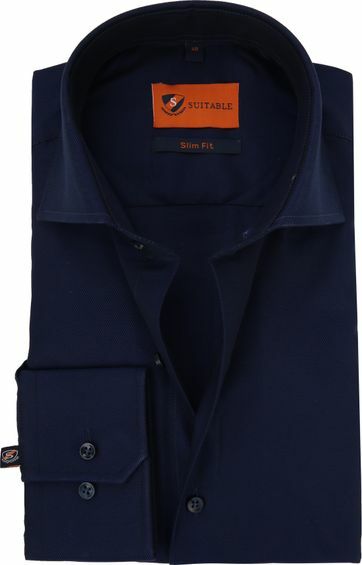 These so-called Sleeve 7 shirts have more sleeve length and longer front and back panels. 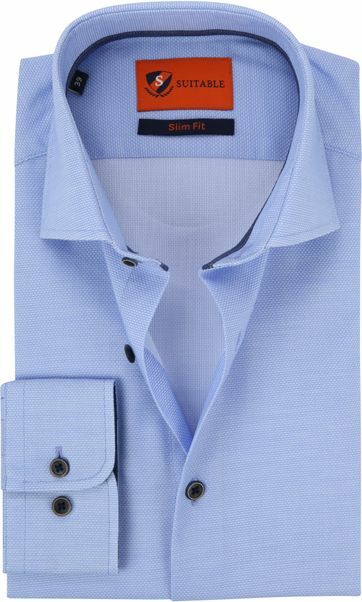 Purchasing a shirt with an excellent fit is easy and affordable at Suitable. 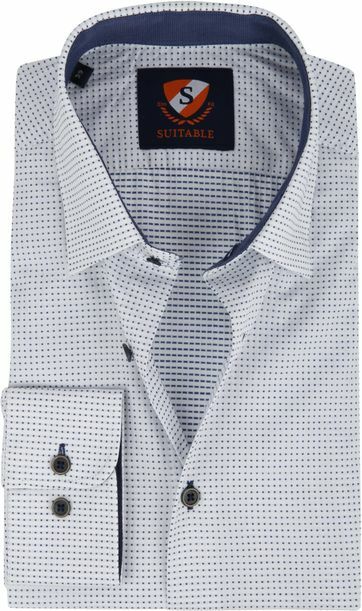 Quality for a suitable price. 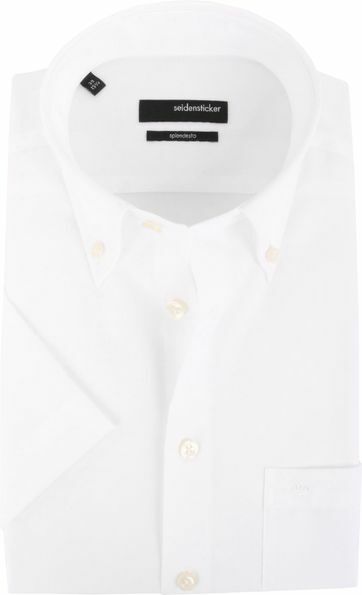 White is a pure and bright color. 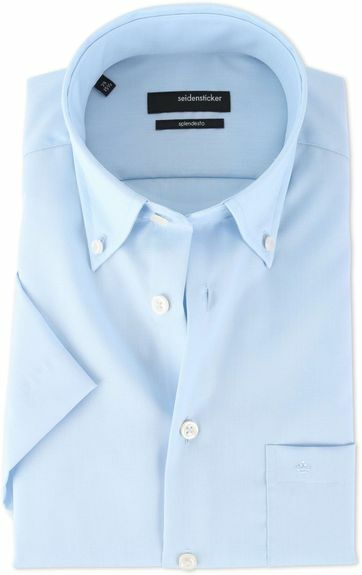 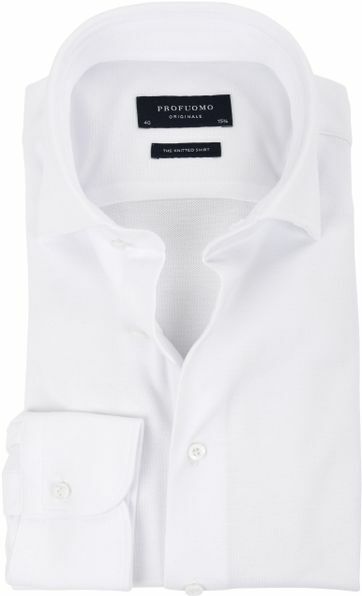 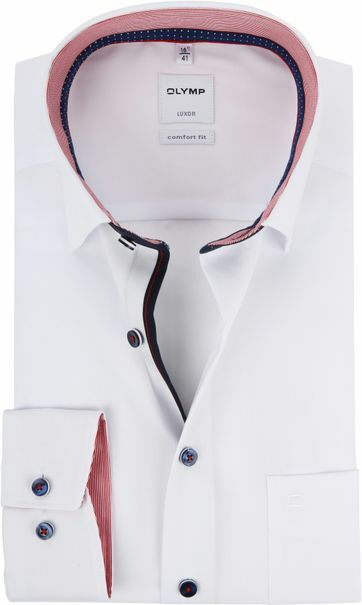 Combining a white shirt with a different color will ensure that the other color is more highlighted. 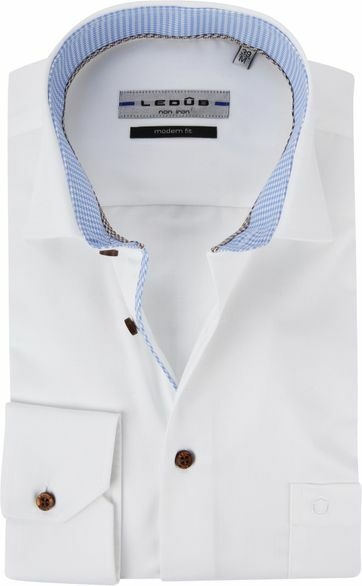 Obviously white is very sensitive to staining, which makes the color even more sophisticated. 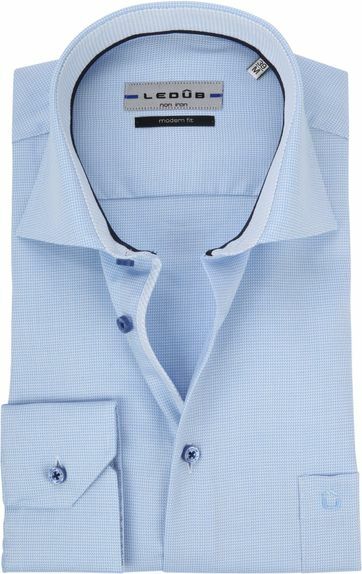 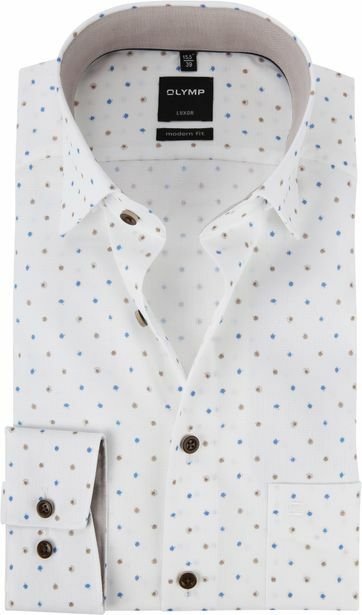 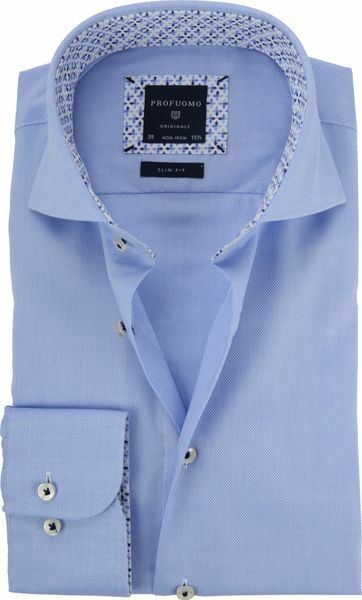 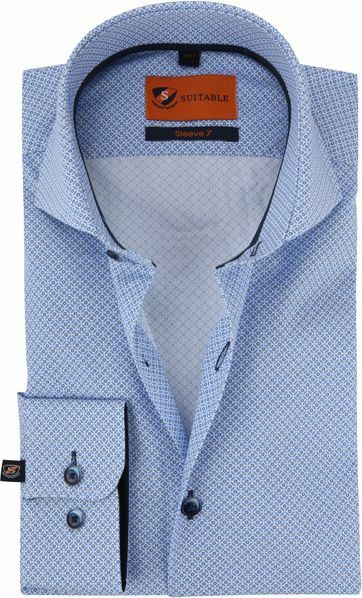 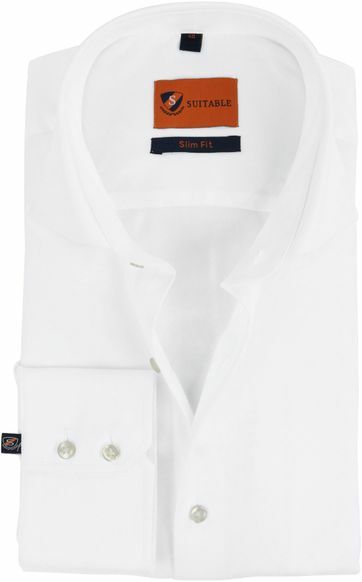 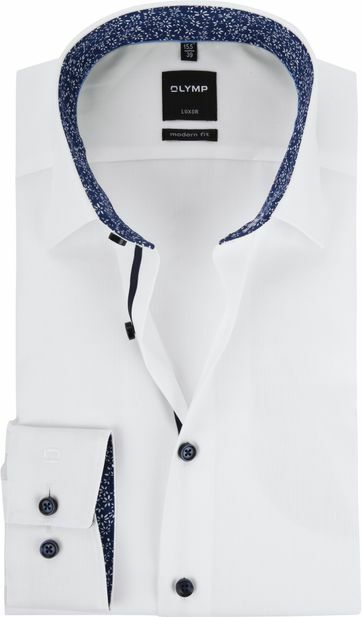 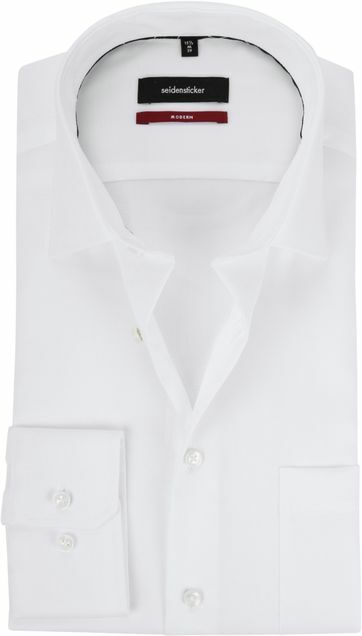 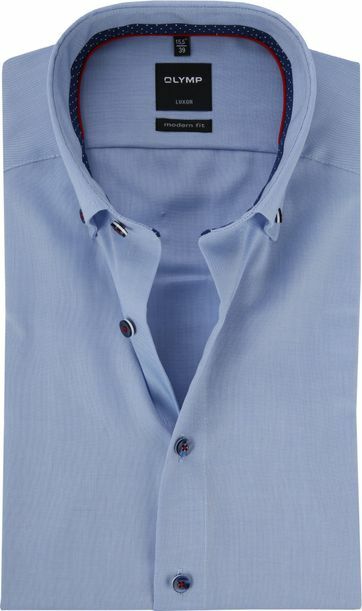 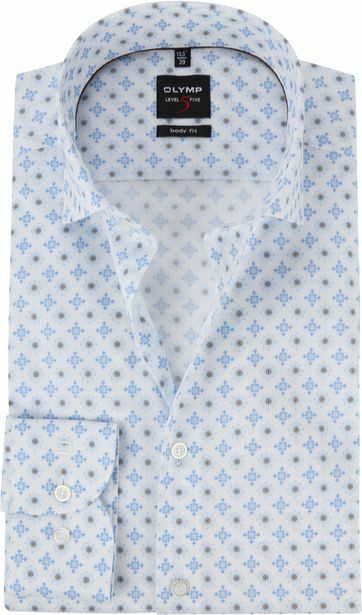 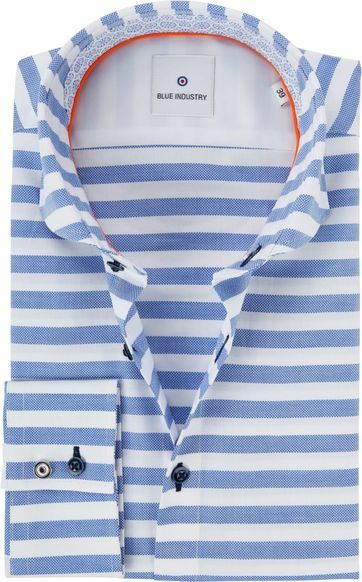 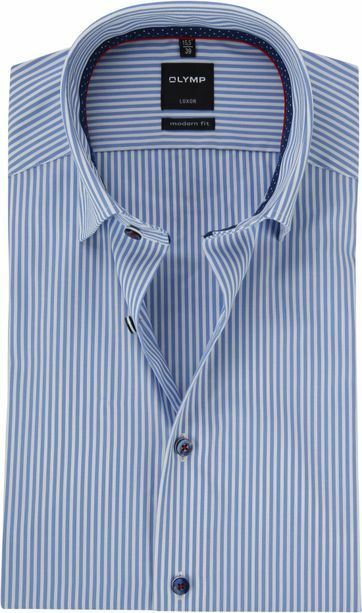 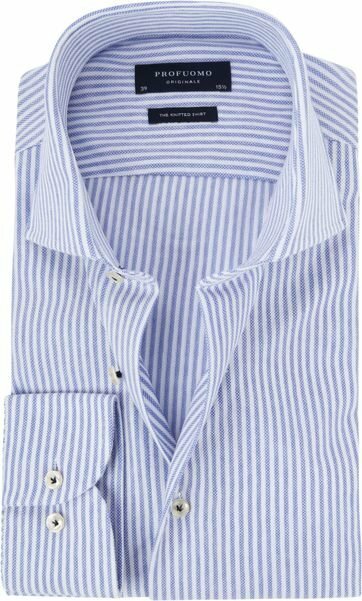 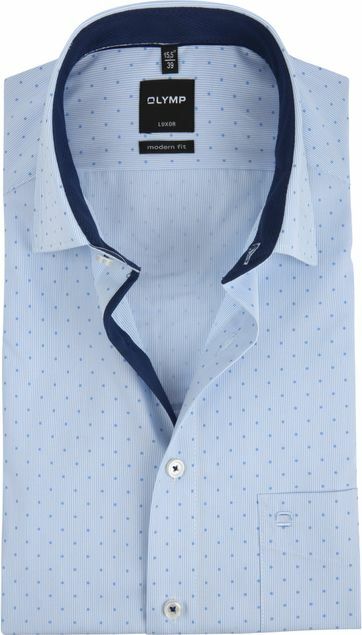 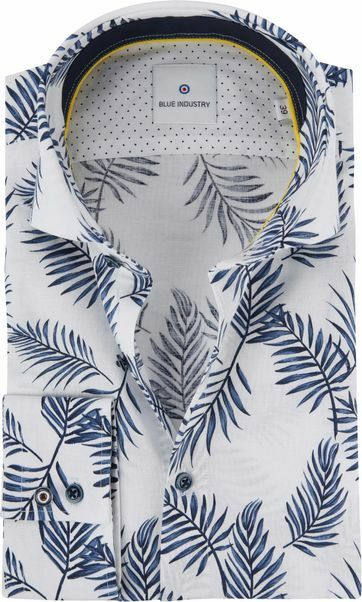 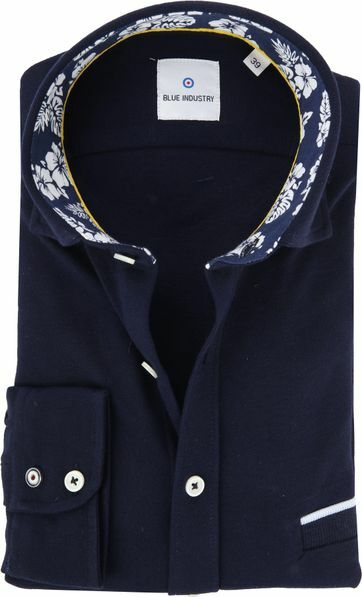 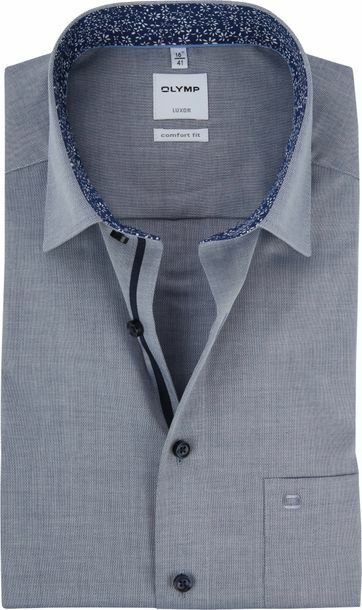 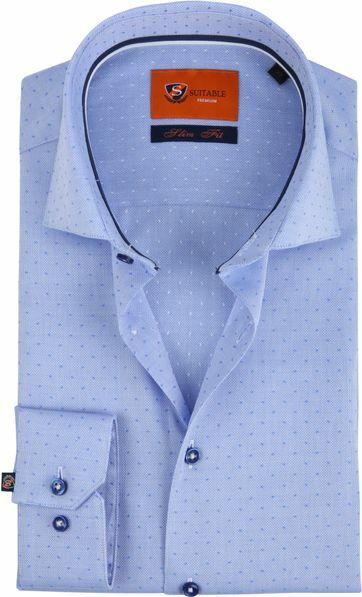 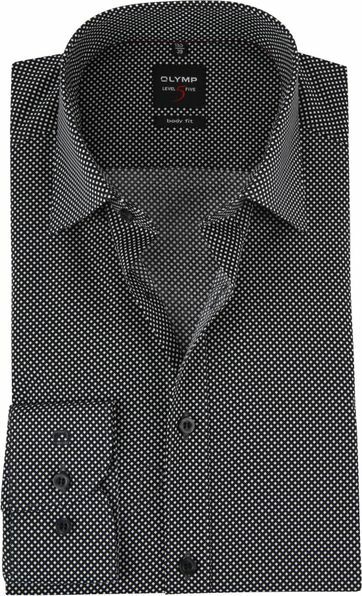 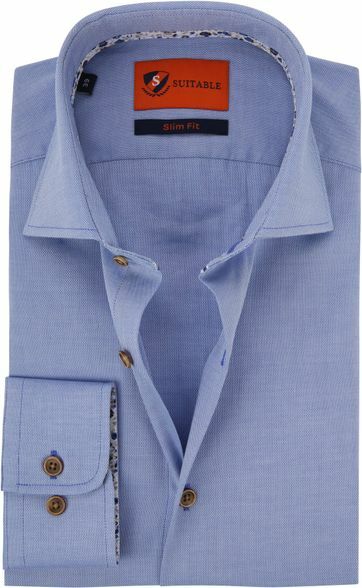 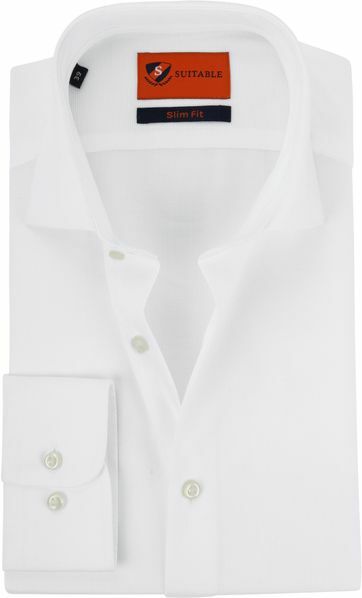 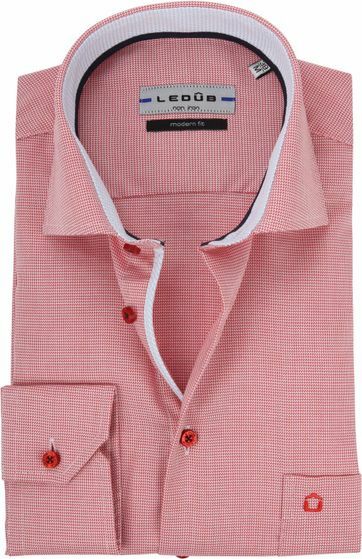 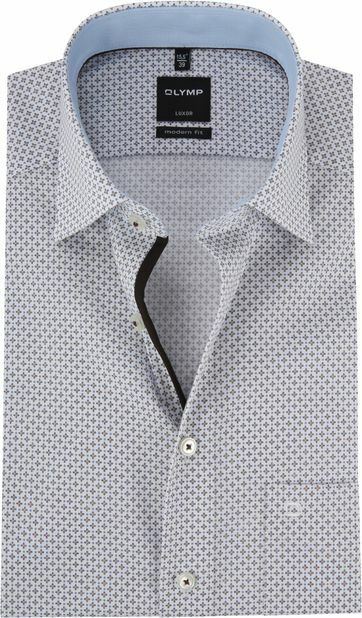 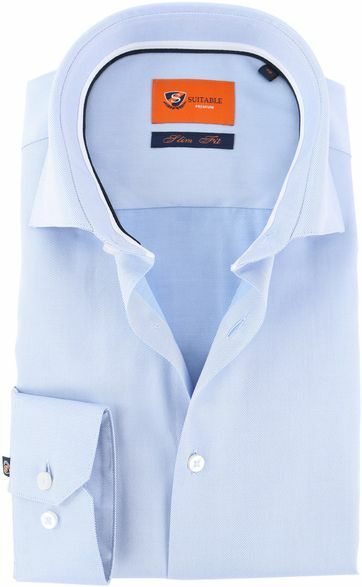 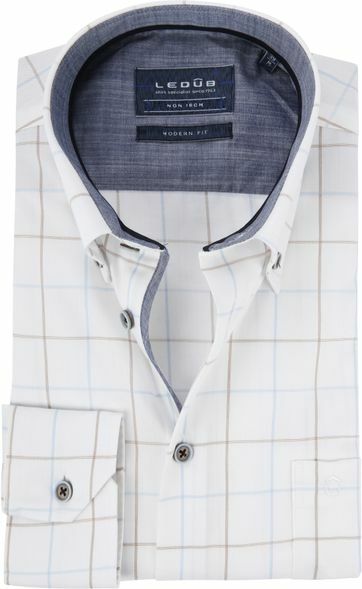 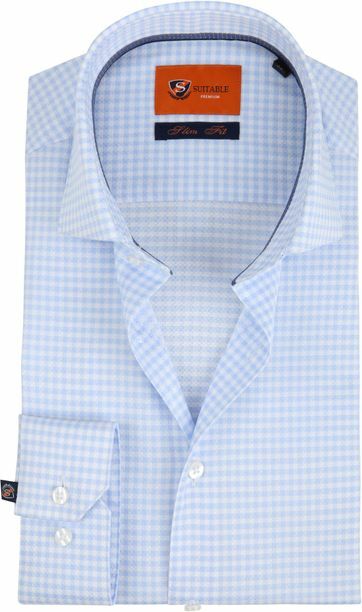 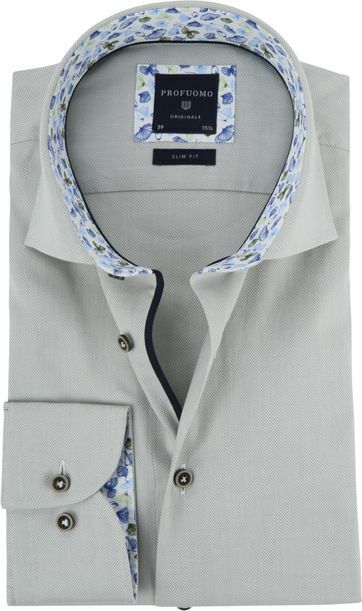 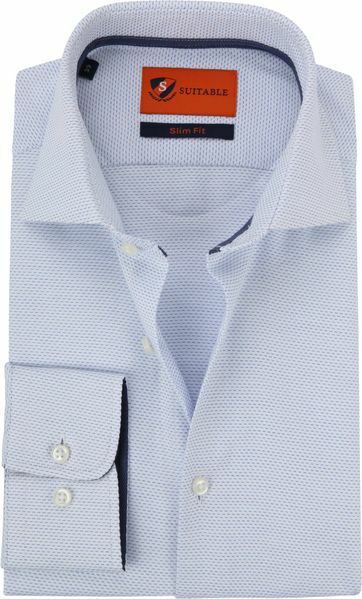 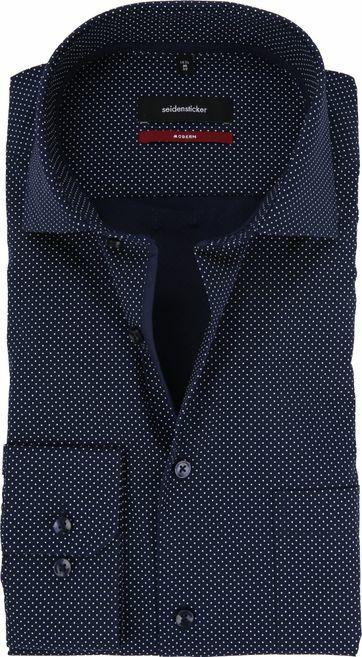 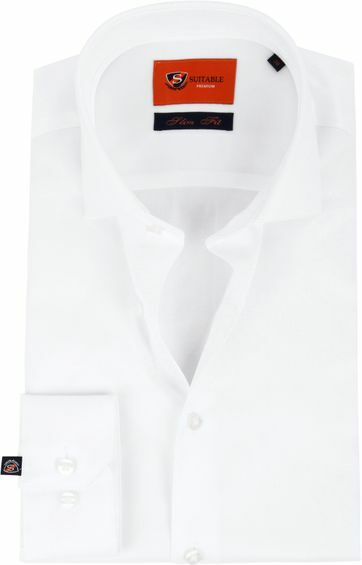 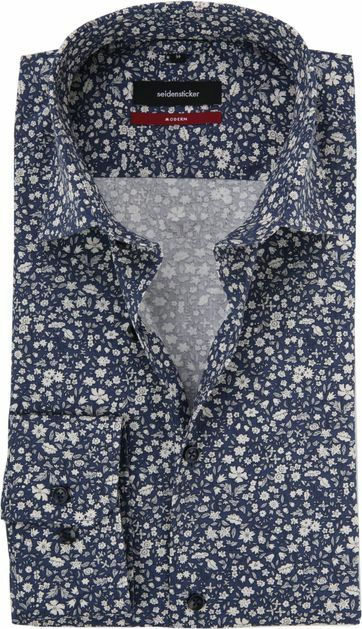 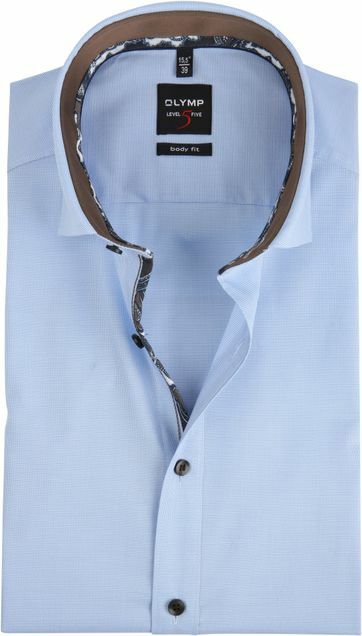 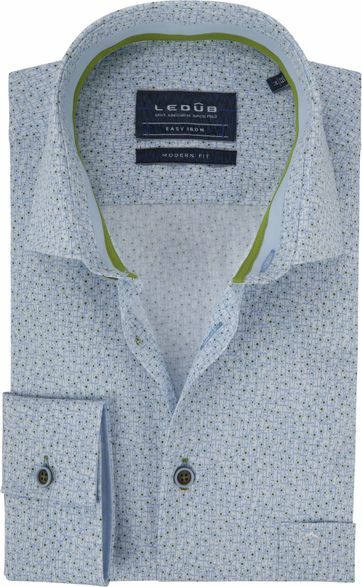 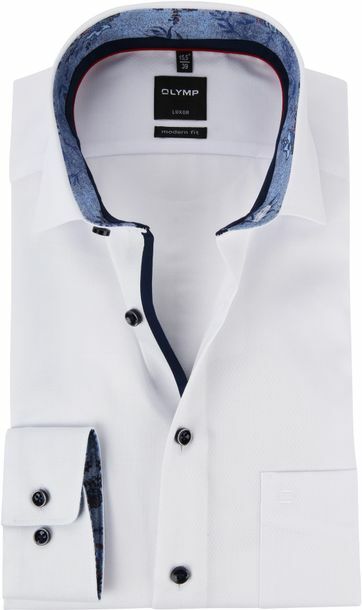 Currently Italian shirts are highly popular, as they have been for some time now. 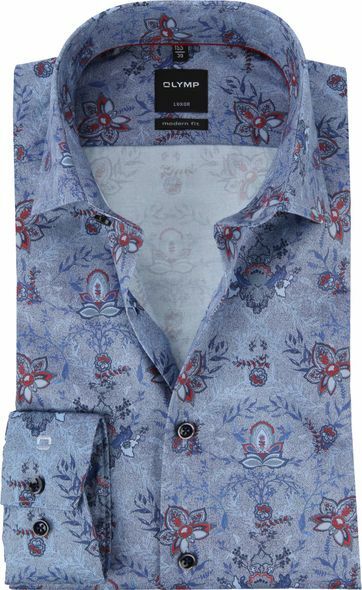 Italy is well known for skilled fashion houses and their unique designs. 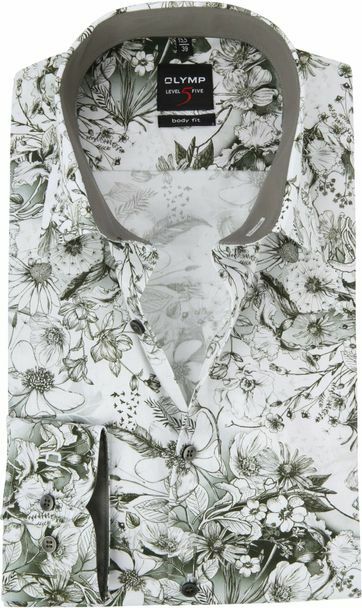 Thinking of Italy you will, besides thinking of the landscape, climate and Italian food, think of Italian fashion as well. 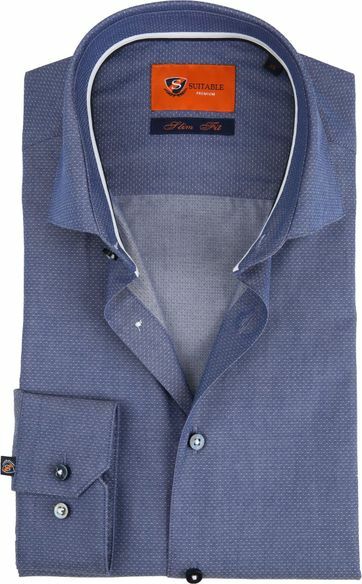 Italian people are known as people who care about fashion and looking sophisticated. 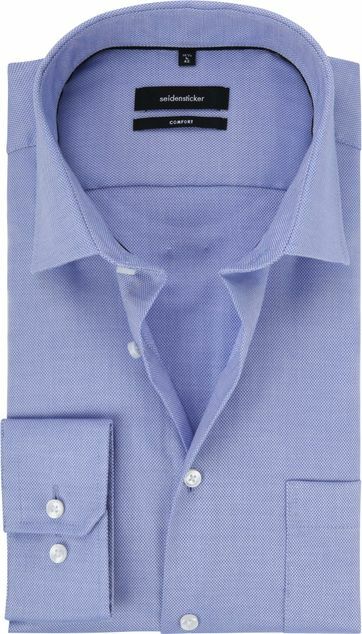 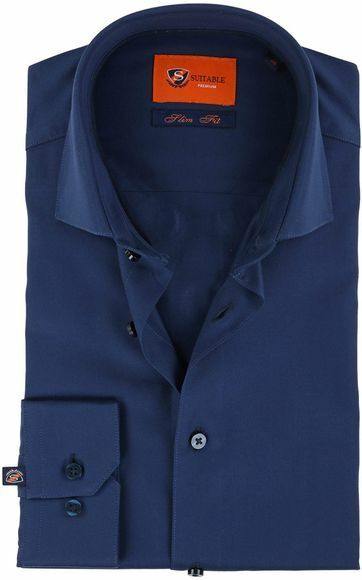 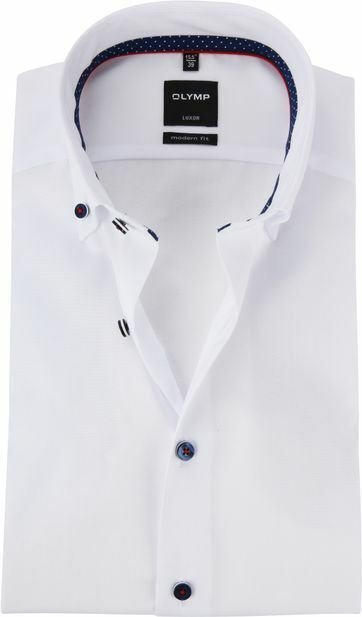 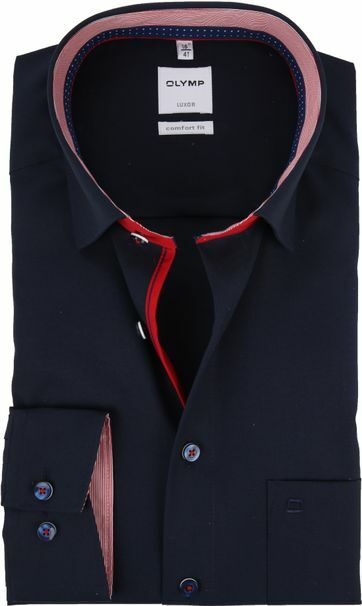 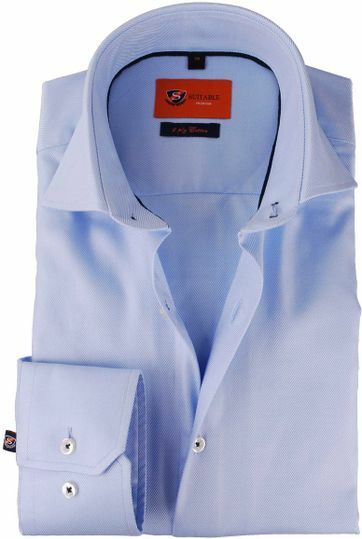 Which is one of the reasons that Italian shirts are exclusive, stylish, trendy and high quality. 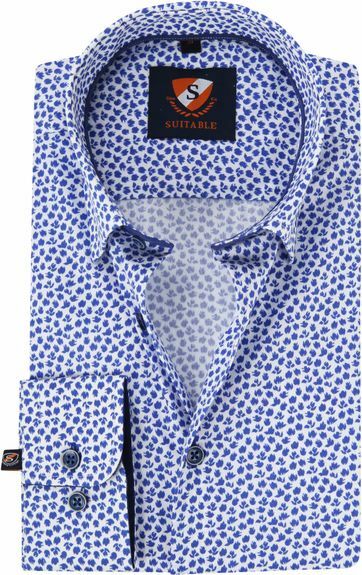 The current preference for traditional clothing generated new distinctive elements that are even more modern than they are classic. 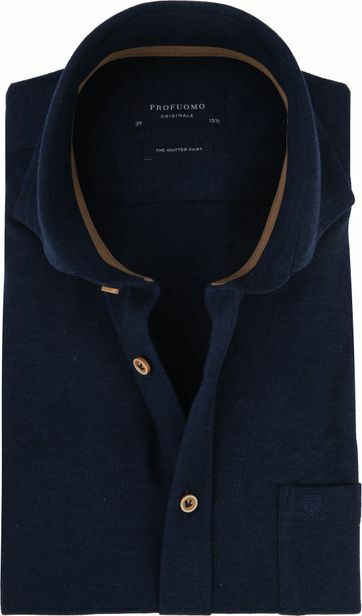 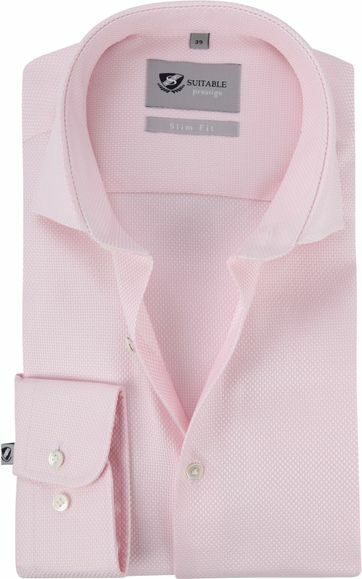 For instance, the extra high collar (with two or three buttons on the vertical part) gained more appreciation. 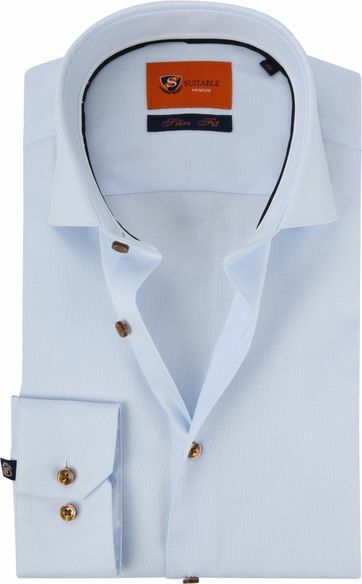 Being too high to close, it is being worn open and tieless. 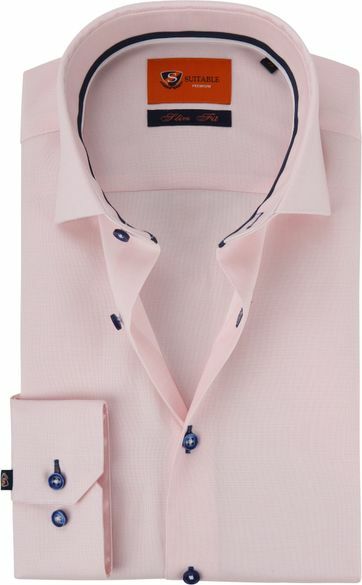 This is in line with the casual business trend to leave out ties from suits. 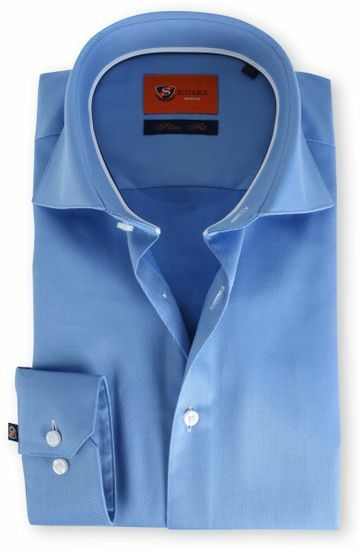 An extra high collar is elegant and it will not project easily above the lapels of a jacket. 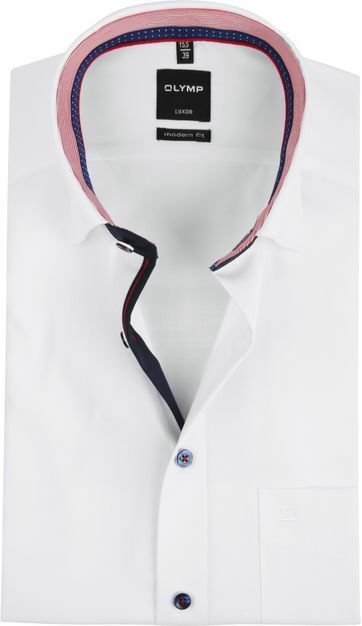 However, optically it reduces the size of the neck significantly. 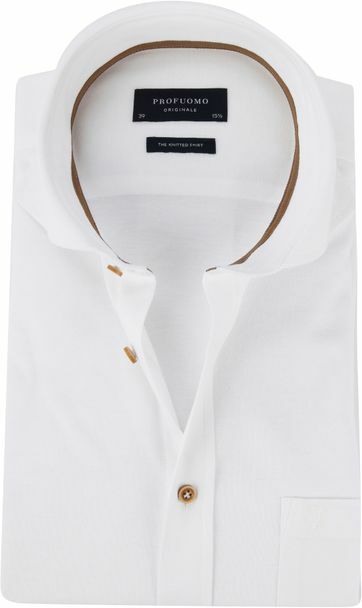 Therefore, it suits long-necked men very well. 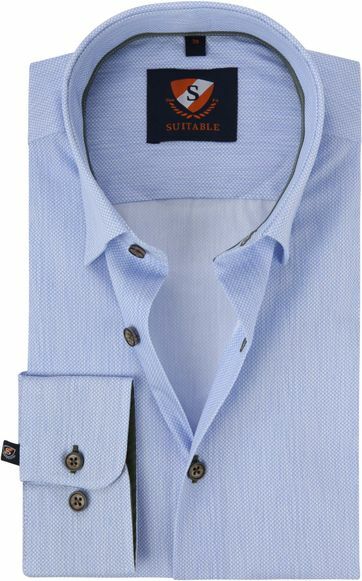 Men with strong jaws, full cheeks, a thick or a short neck are advised to avoid a high collar. 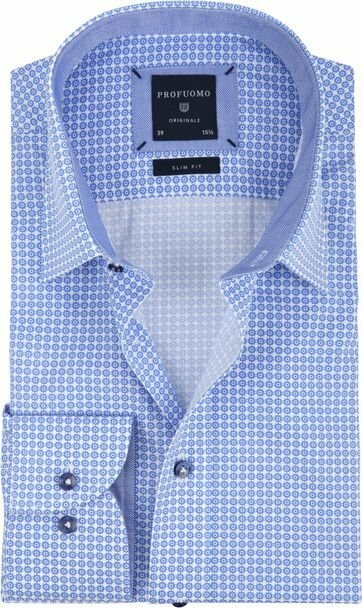 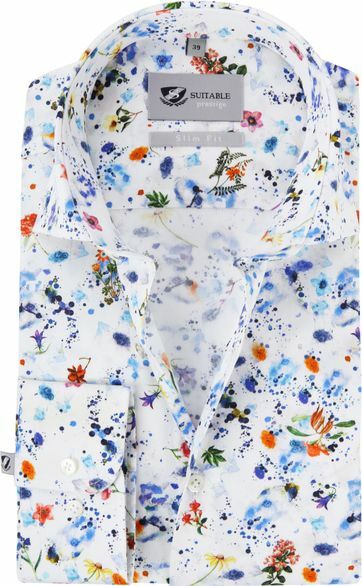 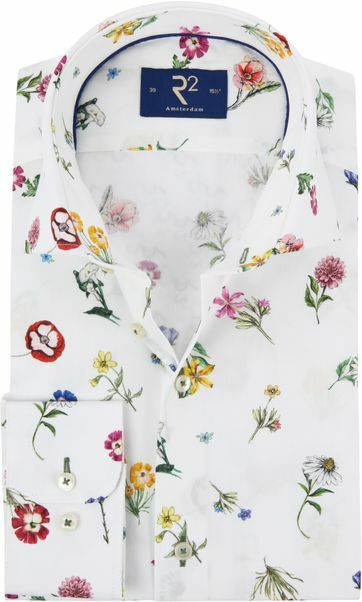 Are you someone with a slim figure and a preference for shirts? 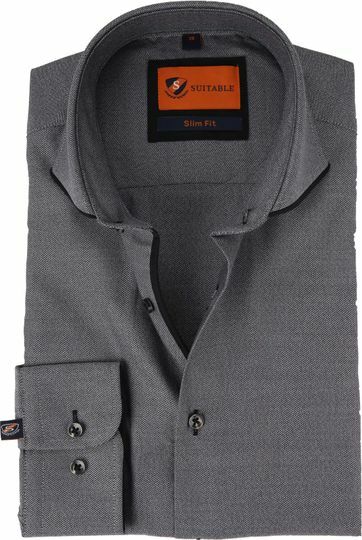 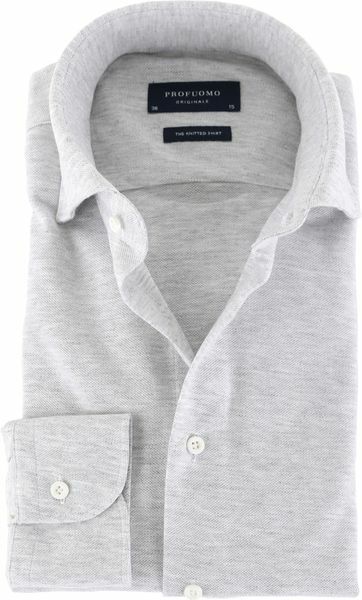 A Skinny Fit shirt could be a perfect match for you. 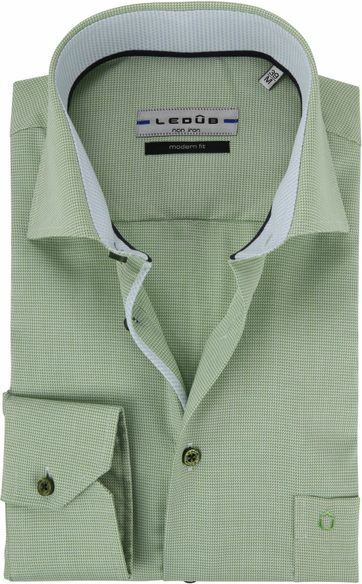 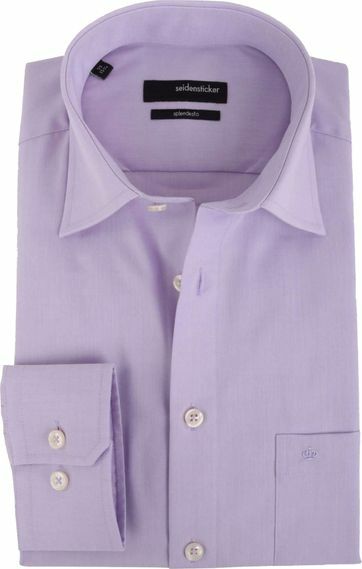 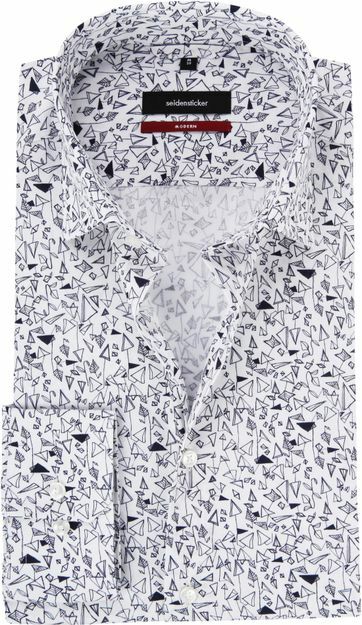 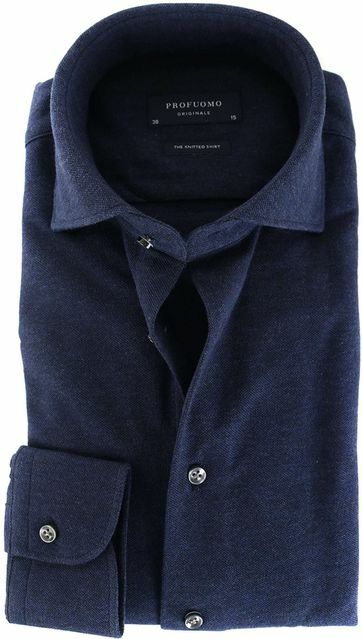 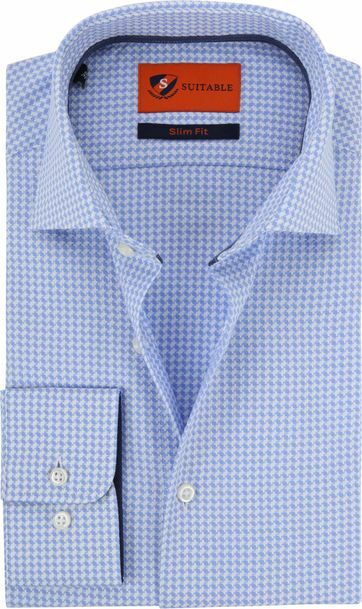 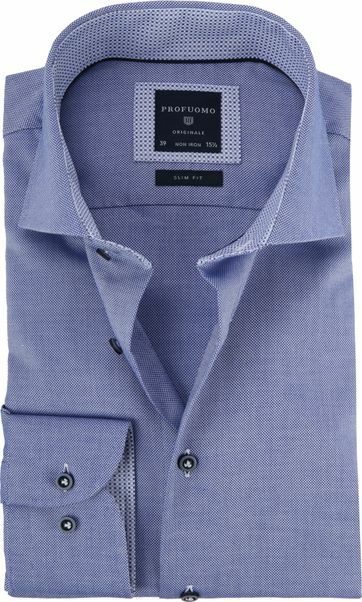 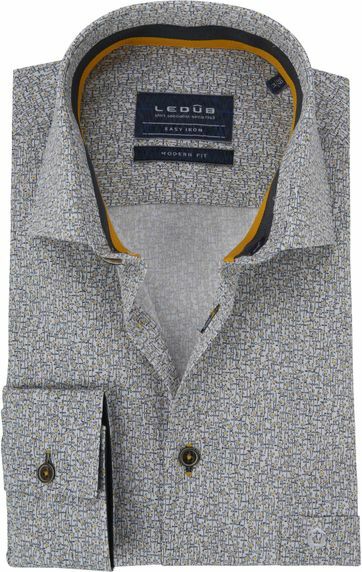 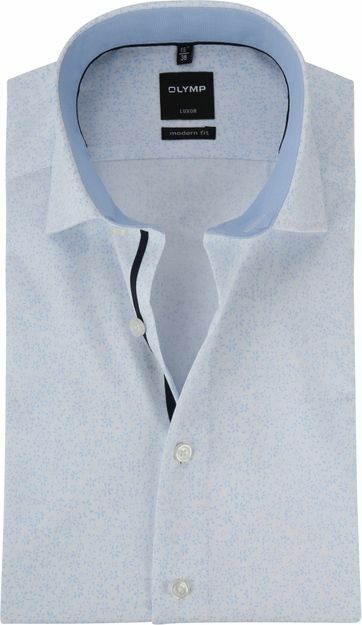 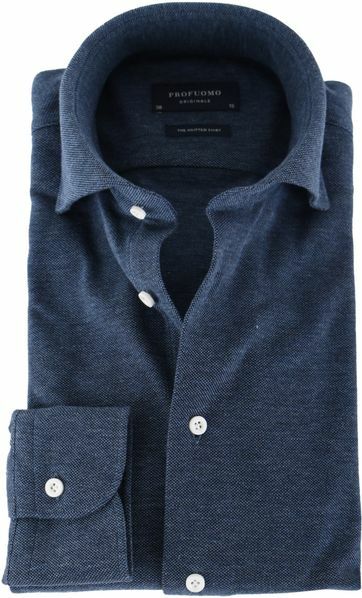 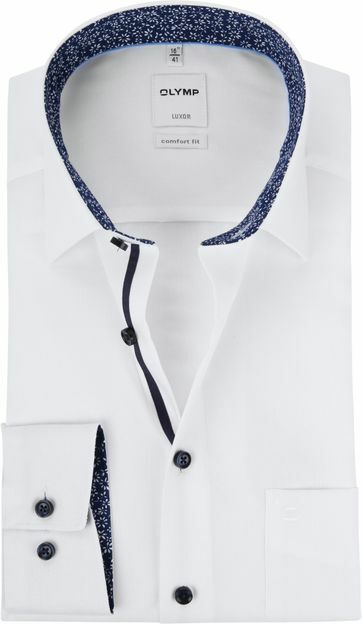 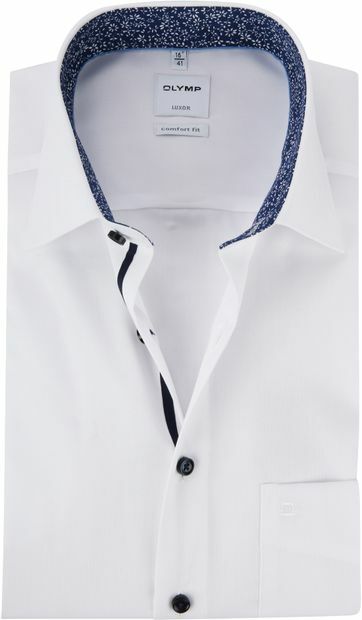 These shirts usually consist of a combination of cotton and 3% elastane, making them very comfortable to wear. 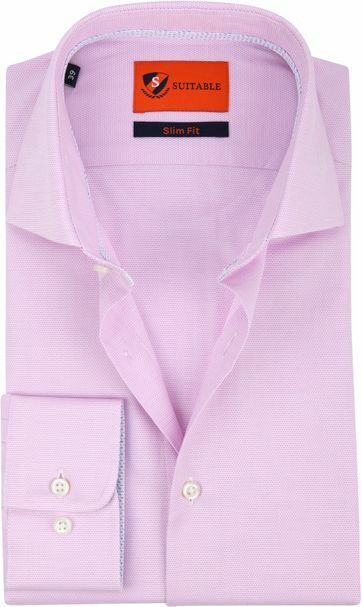 These shirts are even more tight than slim-fit and body fit, suitable for men who prefer trendy, waisted shirts.